The Karcher HD 7/11-4 M Plus is a powerful, medium class pressure washer for heavy duty cleaning tasks on site. The machine features a 4-pole electric motor that runs at lower rpm than a 2-pole motor, providing more power and longevity. The machine offers water pressure of up to 110 bar and is ideal for daily use, several hours each day. his is a powerful high-pressure cleaner with 4-pole low-speed single phase motor. The HD 7/11-4M Plus cleaner comes with AVS, the patented anti-twist system for easy and safe operation. 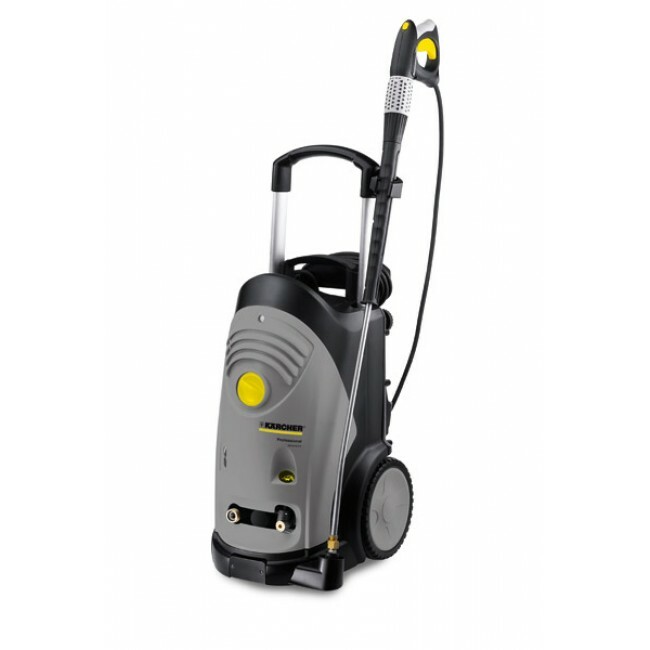 This high pressure cleaner ha a rugged 3-piston axial pump which provides a long service life and Karcher's automatic pressure-controlled shutdown for low energy consumption. The HD 7/11-4M water flow rate and pressure can be infinitely varied by rotating the Servo Control on the trigger gun. There is an easy press trigger gun that can be held and operated with little effort. The sturdy push handle in aluminium on wich the accessories can be accommodated provides good manoeuvrability. This pressure cleaner has an innovative metering and detergent system Switch-Chem for long periods of uninterrupted operation. Equipped with two 2.5-litre bottles, the area coverage can be either doubled or two cleaning agents can be carried for a simple changeover from one to the other without having to stop work.